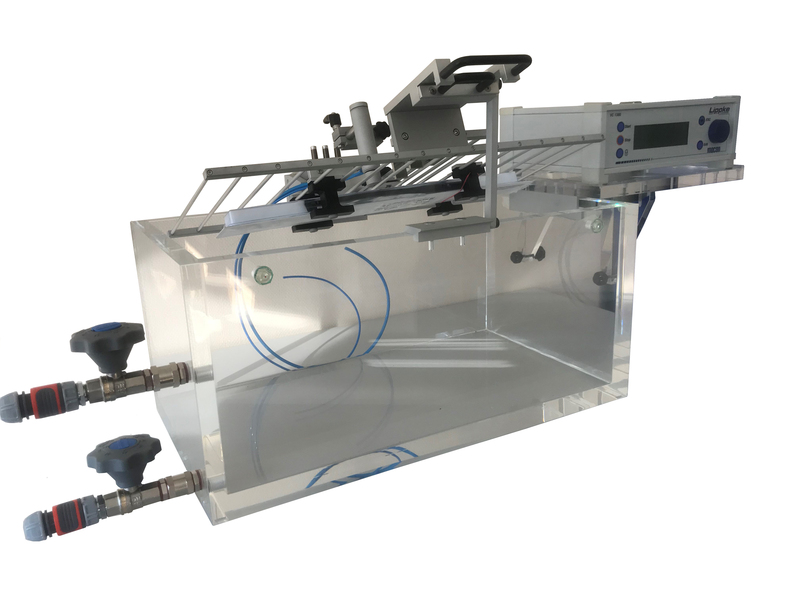 The bubble leak tester water tank incorporating the Lippke VC1380, or Lippke 4000 / 4500 for precise control and analysis, in combination with bubble emission for visual inspection to identify leak location. The Lippke VC1380 which is incorporated with the Bubble Leak Test Water Tank in the above video is sold seperately, alternatively the Lippke 4000 or 4500 can be used. Exicator system for testing leaks in packages using the bubble test method.